Situated on the cliff edge with superb views of the Promenade, gardens and pier our 70 year old club boasts one of the best greens in East Anglia (the bar prices are very reasonable too!). Bowlers visiting us are sure of finding a pleasant meal and intriguing shops in the town and, during the season, a chance to see “Seaside Special” the End of the Pier show. 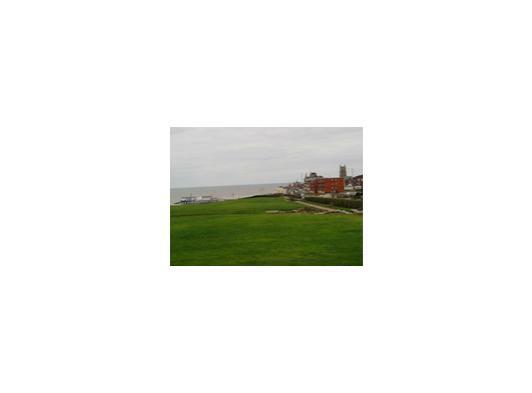 Holiday makers visiting the town are welcome to play on the green for a small charge. Cromer Council decided to make some money out of what was just sand and Marrams grass (hence the Club name) and decided to lay down an E.B.A. size bowling green 42 yards square, plus an 18 hole putting green. The Bowling Green was ready for use for the 1936 season and a Club was formed by Mr. W.P. Baker, Mr. G.R. Baker, Mr. F. Pearce and Mr. J. Gardner. I think Cromer was the third or fourth E.B.A. Green in Norfolk, the others being Norfolk Bowling Club and Wymondham. As there were so few clubs in Norfolk we had several County matches. As there was no club house in order to give the players a cup of tea at 10 ends a trestle table was set up in the alcove to the left of the top gate. Mrs. L.V. Baker boiled the kettles and made the tea in her house opposite and we then carried them across the road to pour it out. (It might get cold nowadays in view of the amount of traffic on the road). I seem to remember the teams very often went to the Cliftonville for a meal after the game. 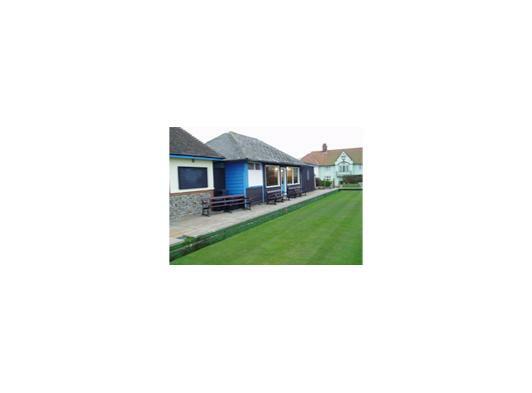 The Club was called Cromer and District as five or six members came from North Walsham – Stanley Watts, Tim Cutting, Jack Hewitt, Mr. Chettleborough and Mr. Harvey. In 1946 the four founder members won the County Rinks and went to Paddington to represent Norfolk. In 1952 the Ladies formed a Ladies Club calling it the Marrams. Miss Dolly Baker took on the position as Secretary in 1953 and held the post for the next 40 years. W.P. Baker was Cromer Delegate on the Norfolk County Committee for several years.